This is an attractive Madrid style straw hat that will help you keep cool in the sun. Made of woven straw, this light and breezy hat that is comfortable even in hot weather. The design allows for enough air circulation to keep things cool and comfy. The brim that encircles the hat helps to protect against the sun all the way around. There is a wide coloured hatband located at the base of the crown, which where your logo will be branded. This great unisex hat comes in white and is available in two sizes S/M and L/XL. Bands are available in a range of colours. We provide these classy hats, with your logo or other branded artwork embroidered or printed on the band. 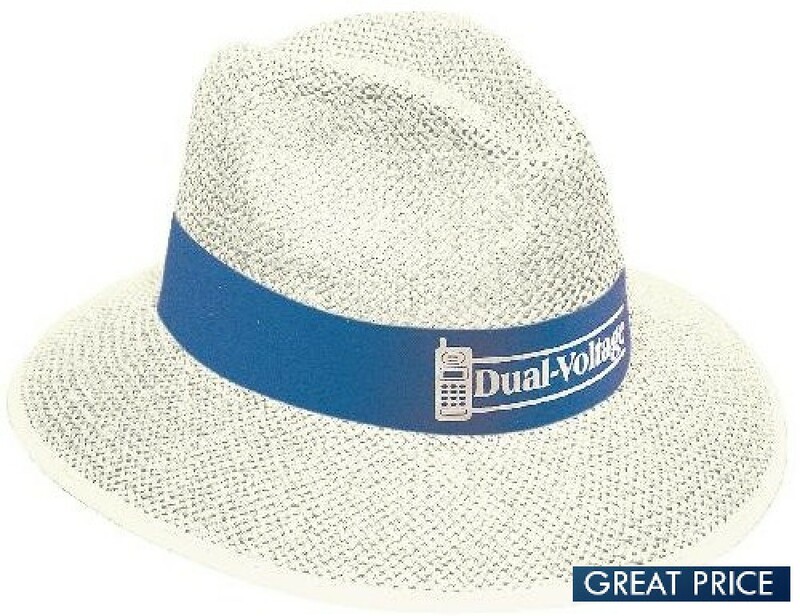 These hats are terrific for staff or volunteers at outdoor sporting events, clearly identifying their wearers while also protecting them from the sun. They also make wonderful items for promotional sales, especially in hot and sunny areas. Suitable also for clubs and teams that enjoy the great outdoors, including bushwalkers, orienteers, and land regeneration charities.